Clients of senior care services may want to take a genealogy class to learn about their family history. Now that your clients of home care for seniors are retired, they may be looking for a new hobby to occupy their time. This is when you may want to mention a genealogy class. These types of courses allow your clients to take a look back at their family history and learn where it all started, and many of them may be more than excited to learn but don't quite know where to start. When you suggest a genealogy class you can encourage your clients to not only learn more about their family's history, but build a relationship with their past as well. When you read the name of a relative that lived generations before you, it still feels as though you've built a familial connection. 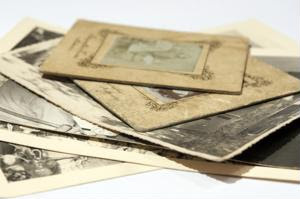 Clients who take a genealogy class and discover details of their family history may gain a greater understanding of how hard it was for the generations that lived before them. By taking a genealogy class, your clients can also learn how to build a family legacy that they can leave behind for their children, grandchildren and future generations. Most importantly, seniors are a group of people that like to establish peace at this stage in their lives. When a person is able to unite with their family by building a history, they typically find a common ground and a sense of belonging.